Home » Uncategorized » Appreciation Message by Elected 1st Vice NPP USA. 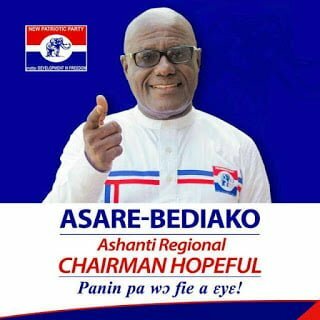 I take this opportunity to express the length, breadth, depth and height of my gratitude to all of you for your sacrifices, resources, talents, and time towards my victory in the just ended NPP-USA elections. Against all odds, you stood behind me until victory crowned our efforts. The work of the election committee was a harrowing one for which I express my deepest appreciation and commendation. You were even-handed in all your dealings with all of us as candidates.The debates you organized, the platforms you created for us and the manner in which you dealt with issues that were likely to raise suspicion really endeared you to all especially me. 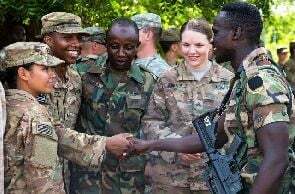 NPP-USA is proud of you. I say thank you. I especially appreciate the the efforts of our party’s founding father’s like Hon Mohammed Idris and Hon Dr. Agyenim Boateng. I highly appreciate the presence of the second lady, Mrs. Samira Bawumia, wife of the Vice President of Ghana, His Excellency Alhaji Dr. Bawumia. Her power-packed personality which easily fills public venues was well exemplified. Mrs. Bawumia’s speeches not only electrified and enlivened the Congress but it also added lustre to it. It was also a special honour to have Mr. Gabby Otchere Darko, the Minister of Special Initiatives, Mrs. Hawa Koomson, Deputy Minister for Foreign Affairs, Charles Owiredu, and Hon Henry Quartey, Deputy Minister for Interior and Member of Parliament (MP) for the Ayawaso Central Constituency come to grace the occasion for us. We can not lose sight of the presidential staffers like Ms. Napaga, Frank Asiedu Bekoe, CEO for Youth Employment Agency, Hon lawyer Justin Kodua Frimpong, Director General of NADMO, Hon Eric Agyemang Prempeh, his Deputy, Abu Ramadan, and Hon lawyer Hassan Tampuli, the CEO for National Petrolium Authority. To you all, we say thank you. To Hon Sammy Awuku, the National Youth Organizer, Hon Salaam Mustapha ( Deputy National Youth Organiser), and the National Deputy Organizer, Hon Nuhu Mahama, I say Ayeeko. You came to address Party related issues and fired up the youth with your presence and presentations. We were ennobled for having been won into by you. Thank you for always being a friend of NPP-USA. My sincere gratitude to the His Excellency Hon Consul General Professor Samuel K. Amoako and other members of the Diplomatic Corps whose presence graced the occasion. To Chairman Agyei Yeboah, Hon Dr. Fred Asamoah, the one whose shoes I am filling in, Mr. Collins Nuamah, past treasurer, lawyer Edward Osei, and our dear hardworking Mr. Joe Anokye, we owe you a debt of gratitude for your support to the success of the Congress. To my fellow contestants who fortune eluded this time, I will say you put up a spirited fight. We welcome your ideas and suggestions as we hope to operate an open door policy. To us the victors, let’s be magnanimous in our victory. Let us put everything behind us. Let’s show love and respect to all, for we are all brothers and sisters, Genesis 13:8. A big shout out to my former colleagues-members of the immediate past National Executives Council, Chapter Chair Persons, all NPP-USA members, delegates, and all who were able to attend the just ended NPP-USA congress. Once again, I say ‘me da w’ase, n’pagya, nagode, ‘gracias, merci beaucoup, ayeeko, and akpe’ to you all.